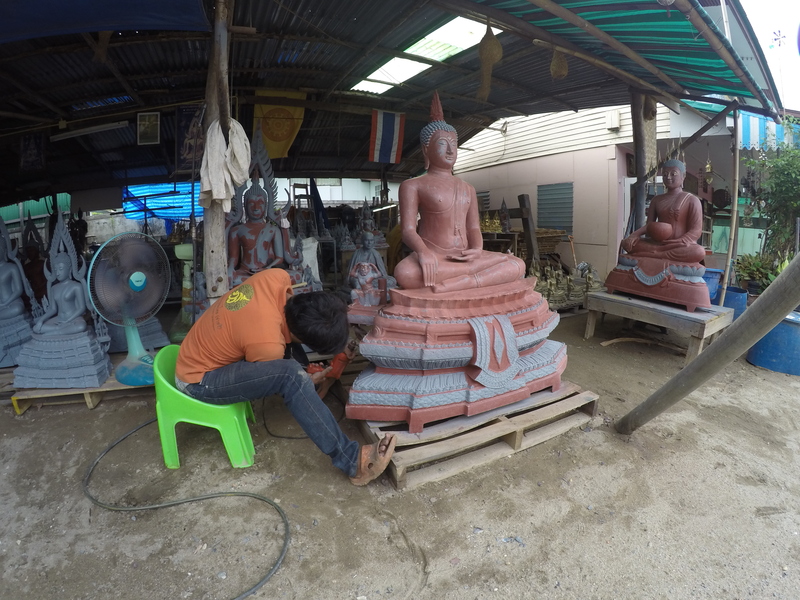 For those who do get to visit the city of Phitsanulok then the small Chinnarit Buddha foundry is well worth checking out! 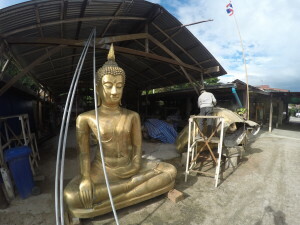 At this Buddha foundry bronze Buddhas of all shapes and sizes are still manufactured and cast in the traditional method which is now becoming increasingly rare in Thailand. 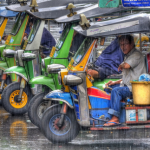 Most Buddha manufacturing concerns now employ modern, cheaper methods to manufacture the image. 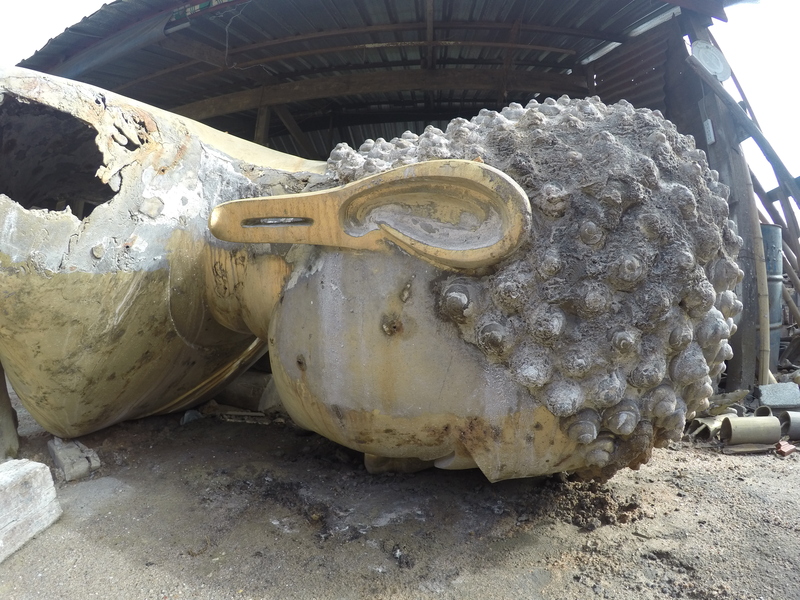 The foundry here is a real working concern and a great chance to see the process of Buddha casting in action! This one is in for repair and refurbishment.